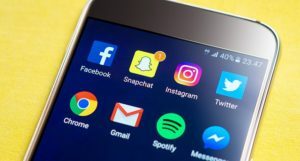 The hype surrounding social media marketing in the real estate industry has certainly become more prominent in the last few years. Real estate professionals are taking to social media to promote themselves, their businesses and any mobile technology they’re utilizing. However, if you’re not using certain social mediums correctly, you could inevitably turn off buyers and hinder yourself in the process. Here are just a few tips that can help you utilize social media to market your mobile app more efficiently. This entry was posted in mobile technology, real estate mobile apps and tagged mobile technology, real estate app, social media. Bookmark the permalink.